*Stick weights and lengths are determined using like flexes and patterns from each brand (mid curve, round toe, open face). There can be variances in stick weights within the same model, so we have listed the average from weighing 6 sticks. Length is measured from top of shaft where the front shaft plane meets the heel. I had this stick maybe for 4 months, shot was great and stick was beautifal until I was just saucing in the locker room and it snapped in half. Was very dissapointed. Would buy another but don't suggest it. stick feels outstanding, has puck feel unparallel to any other stick on the market, and the pop off the shot is fantastic. However, the stick was great until it broke, and many of my teammates have experienced the same issue as well. Overall, great stick, not durable though. You people need to realize that this stick is used by NHL players and is not supposed to last long. It is mad efor preformance so if you are looking at this stick, it is a good stick but it isn't supposed to last long because it is made for preformance. This is a great stick. I love the puck feel and I find it really easy to load for hard shots. I take a lot of snap shots and one timers, with this stick it seems to have great energy transfer. I pull back a lot with my top hand on shots and I find that this kick point helps me keep hard shots accurate. Surprisingly, my wrist and snapshots are better with the 1S than clappers. I love it. Very accurate and so far very durable. I've played 2 months with it twice a week and have taken 100's of shots. I'm 6'3 230 lbs and I have an 87 flex with a 3 inch extension so it's probably a 77 flex and no sign of breaking down at all. Great stick. I have gone through 5 or 6 of these in the last two months. It is not just me either.. Two of my teammates have also broken these sticks very quickly. Switched back to vapor series and have not had any problems. bought this stick on the 2nd of december, practice 5 days a week and it's been through 4 games. shaft broke on the night of the 12th. just a regular pass broke the shaft. while it was still working it was a pretty nice stick. good feel but i don't want to spend another $280 on a stick that will last no longer than 2 weeks!! I really enjoyed this stick for the 2 months it lasted and so did my friends. 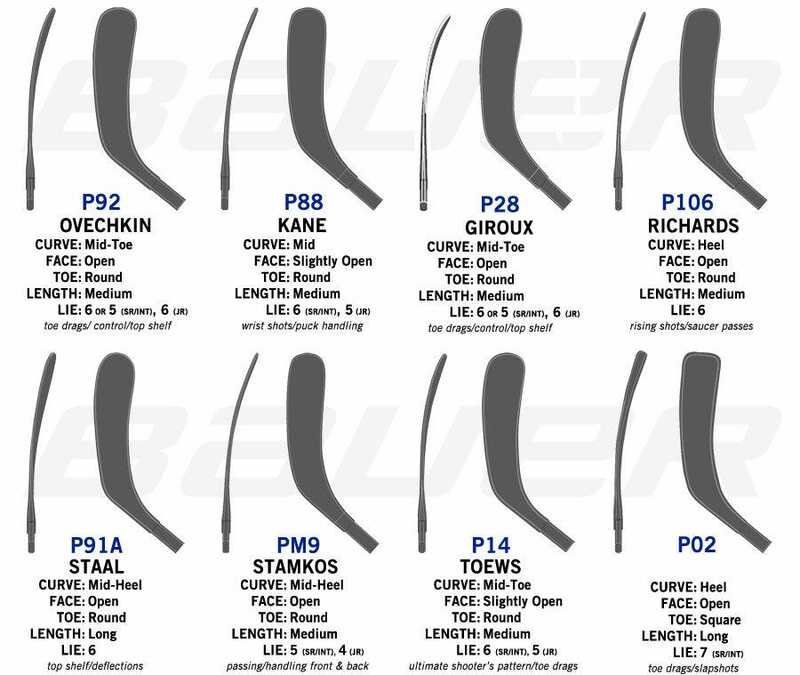 I play on a team and everyone on our team shares sticks so you know which one you want to buy or whatever. Although this stick was used very often it broke way to soon for this kind of money. Definitely go to the ribcor line because I love the Trigger ASY I just bought. This stick was the best stick that I ever owned, AT FIRST. I received this stick on a Sunday, played in a game with it, then practiced with it later and broke it about 8 inches from the top of the stick THE SAME DAY I BOUHT IT. I was very mad because I had the stick for less than 24 hours before it broke. After waiting about 2 weeks for the replacement stick, I finally got it in the mail and taped it up before a game, it had never been used before. Then, in the second period, after taking about 6 shots with the stick it broke, right in the middle of the shaft, AGAIN LESS THAN 24 HOURS AFTER I FIRST GOT IT. Never again will I buy this stick, and I warn you not to as well. Stick with the MX3s because they wear significantly less quickly than the 1S sticks do. BAUER Hockey, Inc. will provide a one-time replacement of your composite stick/shaft/replacement blade, IF BROKEN DUE TO A MANUFACTURING DEFECT within 30 days from the date of purchase. You must return your stick/shaft/replacement blade to BAUER within 14 days from the date the return was created. You must send, at your expense, the product along with the serial number sticker. Please note that, upon examination of returned stick/shaft/replacement blade, if BAUER Hockey determines that there is a manufacturing defect, they will ship the same or equivalent model stick/shaft/replacement blade to the address you provide. BAUER must have a full mailing address; BAUER cannot ship to P.O. box numbers. Visa, MasterCard or bank statements are not accepted as receipts. Receipts must have the store name and address on them. The warranty policy does not cover any breakages due to misuse or abuse. This policy does not cover wood sticks/shafts/replacement blades, pro stock sticks, or sticks sold by BAUER Hockey's Team Sales Group. For those products, BAUER will not repair the stick/shaft/replacement blade or refund your money. BAUER will not return ship any broken sticks/shafts/replacement blades.